I know quinoa has been all the rage over the past couple of years, but I've just never been a big fan... It's okay, but I have never been super excited about it. Since I've had the same container of it in my cupboard for too long now, I'm trying coming up with new ways to use it. I'm in the process of cleaning out the cupboards and eating up a lot of our stored dry and canned items as we prepare for summer and the season of fresh vegetables and canning again. This was one of those meals that came together from using a bunch of things I had in the cupboard and refrigerator already. It all went together well and produced these tasty little patties. They were delicious that day for dinner, but even more flavorful (but less crunchy) the next day for lunch. 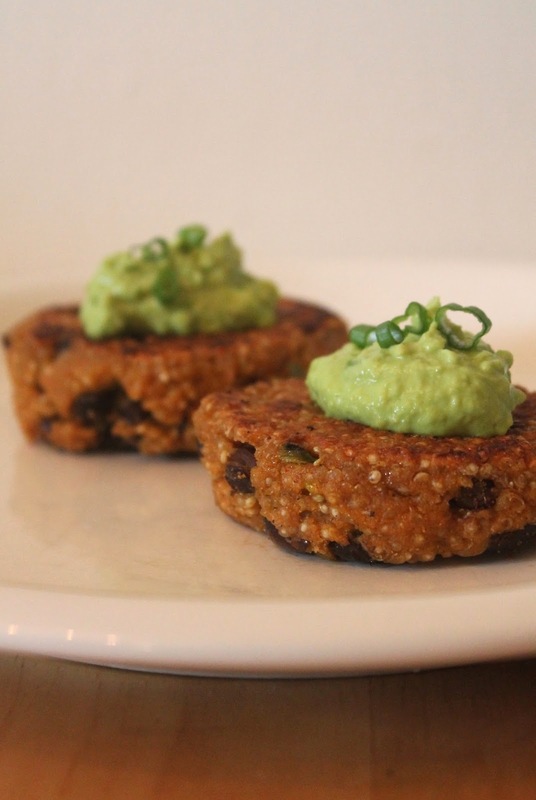 This recipe will make about eight to ten 1/4-cup patties. I served them with a side of sweet potato oven fries. They would also pair nicely with a big green salad. 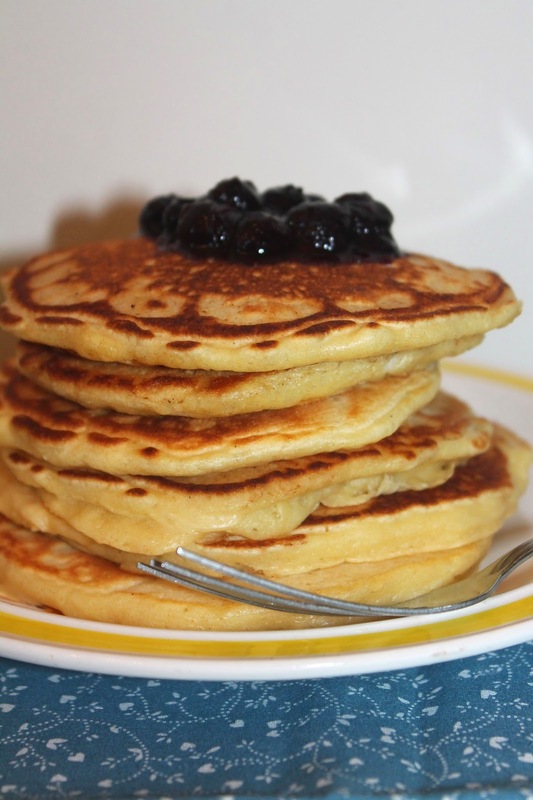 Flannel cakes are a type of pancake that is special because the egg whites are beaten separately and folded into the batter resulting in a lighter and softer pancake. There's also no sugar in the batter, making these less sweet than a traditional pancake. I made these flannel cakes after finding them in one of my Pennsylvania Dutch cookbooks (pictured below). Since I was making an old-fashioned recipe, I decided to beat the egg whites by hand, which was great exercise for my arm. My slightly adapted recipe made about 14 flannel cakes. I served them with some frozen blueberries I cooked with a bit of water and honey along with some butter. Maple syrup would also be great. These cookbooks came from our family - one from my grandmother and one from my husband's grandparents. They are full of old-time recipes from the Pennsylvania Dutch, who are the early German-speaking immigrants to Pennsylvania. This is where my grandfather's family is from (and probably why my grandmother had this cookbook). I love flipping through old cookbooks like these and finding recipes to try. You can bet I'll be making more soon. The weather is starting to warm up around here and for me that means that I start to want lighter dinners. As I mentioned in my last post, it's a difficult time of year for cooking -- no fresh local vegetables available yet and most of our preserved goods from last year's harvest are gone. We did start some seeds this past weekend as well as potted a few new herbs. We don't have room for a large garden, but we are doing radishes, lettuces, green beans, tomatoes, and a bunch of herbs in containers. I can't wait for the radishes to come up. We found heirloom French breakfast radishes and I'm hoping they are cute and tasty! They should be ready to harvest in just over 20 days. But, back to this meal. I've made this dish inspired by a similar recipe at Brooklyn Farm Girl a couple of times now and we really like it. This time I used a green pepper, but last time I used some baby bok choy in its place - both were good. You can use both or pack as many veggies into this stir-fry as you want. Chinese cabbage, bamboo shoots, and bean sprouts would all be good in this, too. 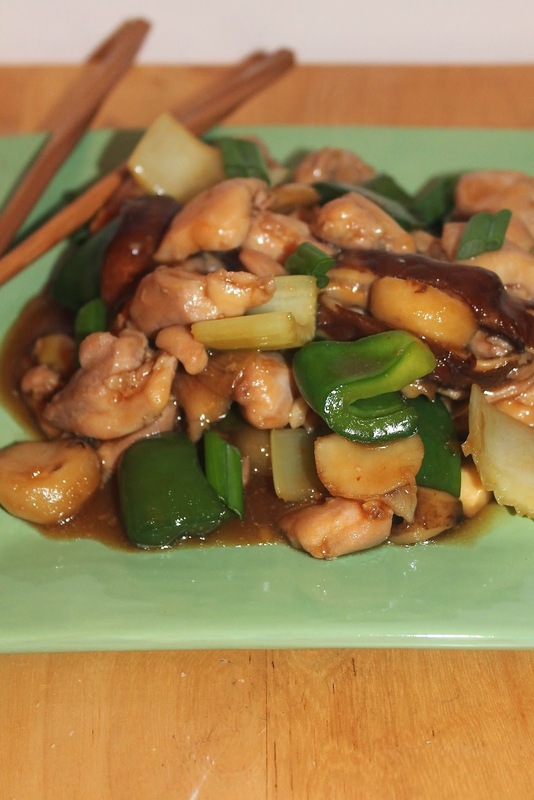 Stir-fry is one of my favorite warm-weather weeknight meals. They are a cinch to put together and they are so versatile. Plus I love making a healthier and cheaper version of take-out foods at home. This dish will serve four people. 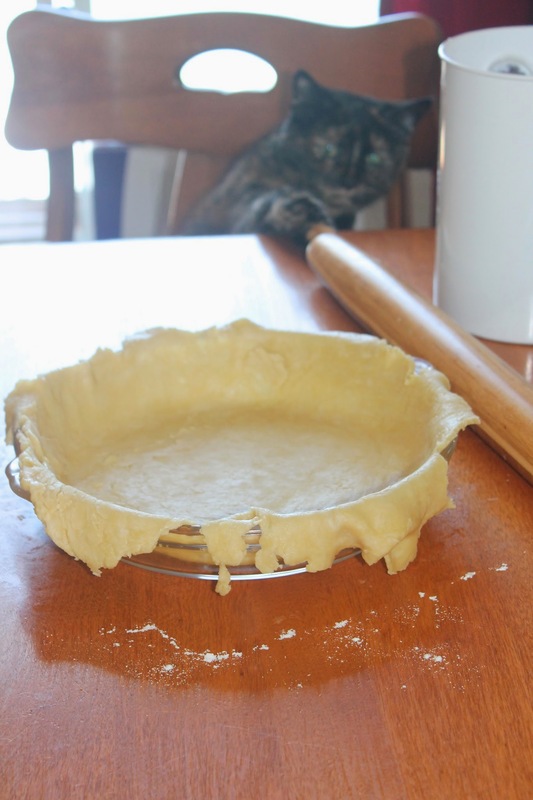 In this household, we love pie. As a kid, I much preferred cake, but now I'll take a slice of homemade pie over most other desserts - I especially like custard and cream pies... This lemon buttermilk pie was inspired by a post at The Merry Gourmet - it was one of those pies that as soon as I saw it, I knew I wanted to make (and eat) it. This time of year I find myself often feeling rather uninspired when it comes to cooking. There's no fresh seasonal foods available yet, and I have used up most of my winter stash. Plus the weather varies from warm to cold almost every day, making it difficult to plan meals that fit the season. 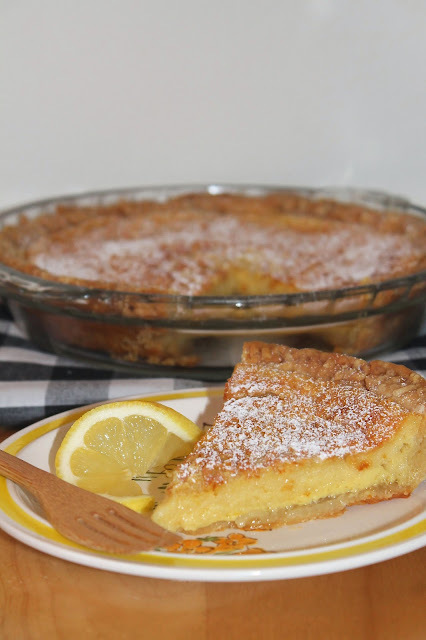 While not really local, you can still find good citrus this time of year, so I was feeling pretty excited about this lemony pie (lemon is one of my most favorite dessert flavors). Plus we had a bunch of farm fresh eggs, which make up a lot of the filling. In my quest to do more "head-to-tail" eating, here is my first offal recipe. 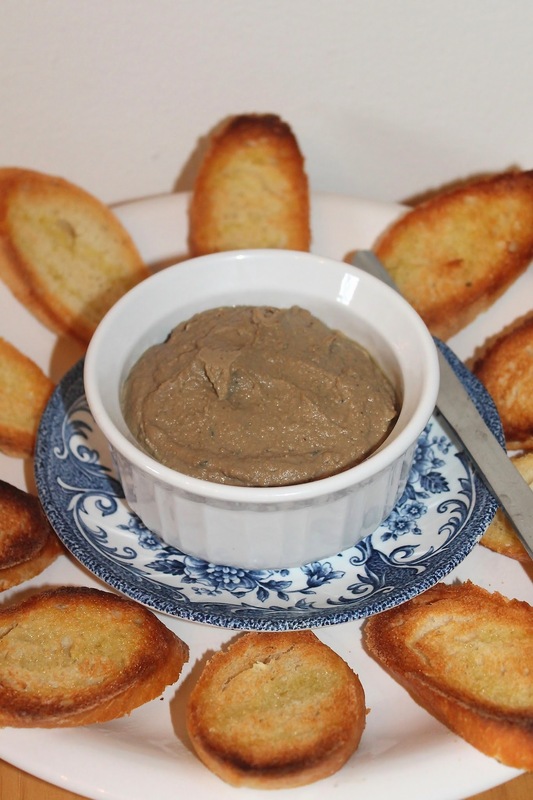 This was my first time not only making, but also eating chicken liver pate. I first tried chicken livers fried up with onions a couple years ago and, well, I was not a fan. So, I was a bit apprehensive to make pate. I recently tried liver dumpling soup (made with beef liver) and liked it - so I was feeling a bit brave. I know people tend to think that liver is unhealthy, but that isn't the case as long as you are eating livers from healthy, pastured, and properly raised animals. Since we have started buying meat in bulk from local farmers, we have been trying to create ways to try and hopefully enjoy these parts that many people often don't request from the butcher (or may even throw away). These livers came from Green Heron Growers. So what was the verdict? I thought the pate was good. It wasn't too strong of a flavor and the texture was really nice spread on the baguette. We served our pate with some dill pickles and capers as well as some lingonberry jam. I took turns topping my pate with a few capers or a smear of lingonberries (you could use cranberry or currant jam/jelly) and found that they both provided a nice flavor balance to the pate. It also paired nicely with some of our crabapple mostarda. I'm feeling more confident now to try more offal recipes in the future!